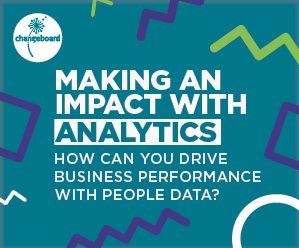 Making an impact with analytics – how can you drive business performance with people data? How can you create a culture that is focused on analytics and ensure you are using people data to tackle significant challenges your organisation is facing? Join our exclusive webinar to hear Euan Robertson, HRIS Director at medical equipment manufacturer Smith & Nephew, and Richard Doherty, Senior Director, EMEA Product Marketing, Workday, in conversation to discuss how people data can be used effectively to drive business performance. 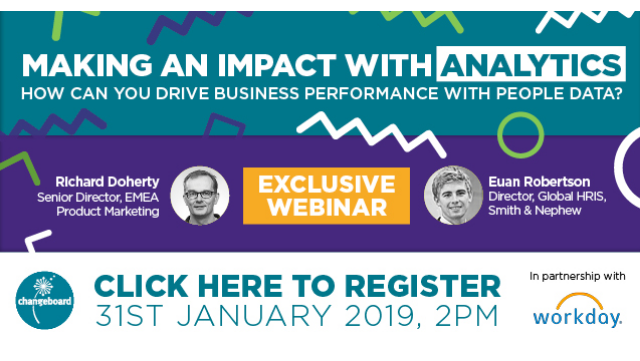 Euan will provide a practical perspective based on his experiences of creating the case for people analytics and driving effectiveness, while Richard will discuss Workday’s latest survey of 3,852 business professionals, revealing how organisations are currently using people analytics to understand people data.